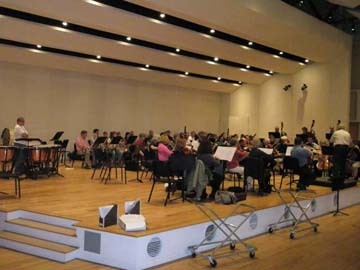 The Green Mountain Mahler Festival holds reading sessions a few times per year. The goal of the readings is to provide an opportunity for musicians from across Vermont to gather for an evening to play an ambitious work for their own musical growth and enjoyment. Readings have attracted 100 or more local musicians, allowing the group to tackle complex works on a grand scale, by great Romantic composers including Gustav Mahler, Anton Bruckner, and Richard Strauss. All qualified musicians, including serious avocational musicians, professionals, and talented students, are welcome to participate. 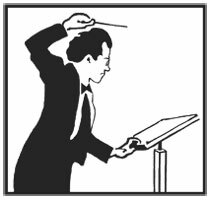 GMMF events are free to all musicians and no fees are required for participation, but we gratefully accept donations to help cover expenses. New members are always welcome. String players are especially needed, as well as singers for works requiring a chorus. The best way to find out about upcoming readings is through our e-mail list. Not on the list? Subscribe now.